Boutique Brisbane interior design company with a focus on classic style with a modern edge. We love getting to know our clients and enjoy overseeing every aspect of the design process with a discerning eye and hands on approach to achieve a happy end result. 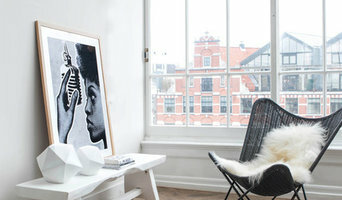 Welcome to Chameleon Avenue, home of designer Claire Limbrick. Offering a range of design services from colour consulting to renovation design, custom-made window furnishings and shutters, and new build advice. Chameleon Avenue tailors services to meet the individual requirements of our clients. Passionate about creating stylish, liveable and inviting spaces where families can feel at home, designs are always practical with a strong focus on function, not purely aesthetics. Gaining a deep understanding for how you live and interact in the space enables us to create an environment which will make your lives easier. Environmental impact, and low toxicity living are important considerations when planning our designs. CG Design Studio is an all inclusive design studio offering interior design, building design and decoration services. We craft beautiful, functional residential, retail, hospitality and commercial interiors. Spaces that not only look good, they make people happy, designed to enhance the experience of the individuals who inhabit them. I am a Brisbane Interior Stylist/Decorator, I adore working with a range of styles and a mix of textures, so my styling is very personal and therefore reflective of the client. My personal style is 'refined simplicity' - timeless, classic yet chic and clean lined. I love working with natural materials to create spaces that are functional, comfortable and inviting. Residential Design Consultancy - Create Your Retreat - Timeless design that reflects your values and allows you to adapt as your life evolves. Specialising in Design, Spacial planning and Decoration. 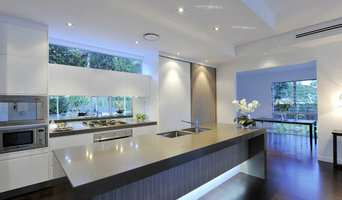 Servicing Brisbane, helping people transform their homes into stylish and creative spaces with a professional edge. Natasha also has an extensive access to furniture and home decor products to suit the clients needs. 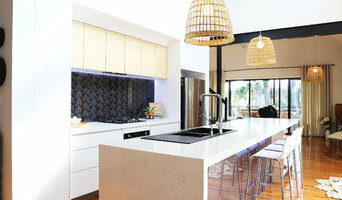 Mint House is a boutique Interior Design and Decorating Company located in the Western Suburbs of Brisbane. Owner, Megan Buerckner can help with your decorating and design needs, from individual room styling through to full house design. Megan can create a design that is tailored to your individual needs by listening to your requirements for your space and understanding your lifestyle. 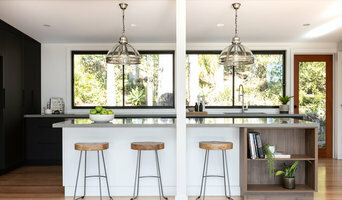 Elle is the former head designer and project manager for Spicers Retreats. For more than seven years she was responsible for designing and managing all projects across the 7 award-winning luxury retreats. From design concept and development through to construction and fit out, including restaurants, day spa’s, hotel rooms, building infrastructure and landscaping, Elle created unique, luxurious, functional, and stunning looks perfectly suited to their environment. Elle’s experience enables her to bring together function, practicality and beauty with a unique and welcoming aesthetic. We are south-east Queensland’s longest running and largest picture hanging service. With over 25 years experience we are extremely proud of the high level of service we offer our clients. We are proud of our reputation for quality workmanship, timely service and competitive rates. The hallmark of a successful service business is customer satisfaction and it is true to say the majority of our work is from customer referrals. We work with corporate clients, galleries and in private residential homes. Our work varies from hanging large collections to small one off pieces. We have three specially designed vans to safely transport your art to and from your home as well as all the latest tools and fixings to make your installation flawless.